Arctic Cat ATVs and side-by-sides are now available as TRACKER-branded machines at Bass Pro Shops and Cabela's stores, combining the guts of machines designed and built in Thief River Falls with the skin and retail presence of massive North American retailers. There's a lot of game-changing hype in the release as well as some missing details (such as, will these retail locations provide service or not, and exactly which models are we talking? ), but I see this in a similar light as Arctic Cat building a dedicated version of the Prowler Pro for Caterpillar. The new partnership with TRACKER will sell more TRF-designed-and-built machines to more customers, which is a good thing. I have hope that it will mean more service/support opportunity to existing Arctic Cat dealers. Jan. 22, 2019: More than 40 years after revolutionizing the boating industry, Johnny Morris is aligning with Textron Specialized Vehicles Inc., a Textron Inc. (NYSE: TXT) company, to do the same thing again in the ATV and side-by-side industry. 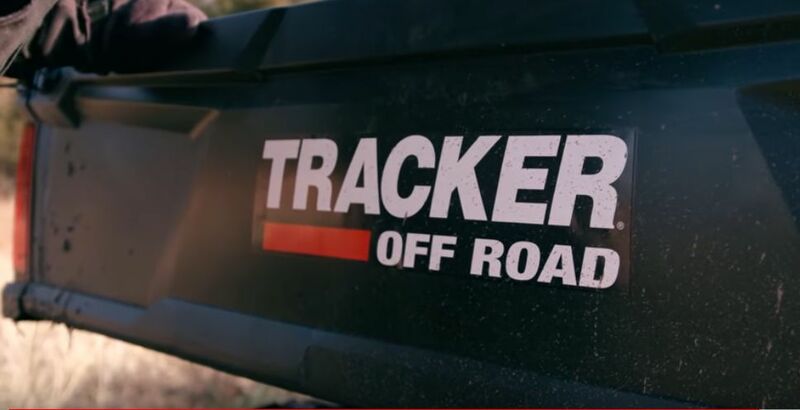 TRACKER today announced a memorandum of understanding to form a game-changing new partnership with Textron Specialized Vehicles Inc., to introduce TRACKER OFF ROAD. This bold new line of high-performance all-terrain vehicles (ATVs) and side-by-sides will offer breakthrough performance, service and value. Good for Arctic Cat "if" they actually sell. I feel like the industry is past the point of rebranding machines though. And will they be priced differently than the comparable Cat machine? People who buy Tracker now, do so because they know its a great product but does that translate into them wanting a Tracker ATV? I'm not so sure about that. Any brand who magically comes out with an ATV, as a consumer I would think you would be a little leary of it. So the only selling point I can think of is, buy this Tracker ATV made in the USA by Arctic Cat. I think the thinking is the southern folk will buy a tracker badged machine because that is a name they are familiar with and the northern folk will buy a AC badged machine because that is a brand they are familiar with.